FREE Interactive monthly online sessions to support your 6-Month Life & Business Experiment. We’ll provide tools and support to help you in your journey and get going on your bucket list plus connect with other like-minded people. You don’t have to do this alone! Join us for our free classes with Jacqueline Boone & Elisa Parker. What would you do if you had 6 months to live? This question forever changed Jacqueline’s life. She started an experiment in living to find out what could happen if she truly lived every day for 6 months—to appreciate life’s moments, to let those around me know she loved them, and most importantly, to pursue her dreams even when the path was unclear or difficult. 4 years later, 6 Months to Live is a global community and life philosophy centered around inspiring and helping people create meaningful lives and businesses they love! See Jane Do and 6 Months to Live have teamed up to empower millions of women business owners put their Passion into Action. Every day we have 86,400 seconds to create something extraordinary, to help our clients, and to savor special moments with our loved ones. Moreover, each of us has a plethora of gifts that we’re here to share. We are all here to shine! And we’re all here to support one another. No one does it alone. 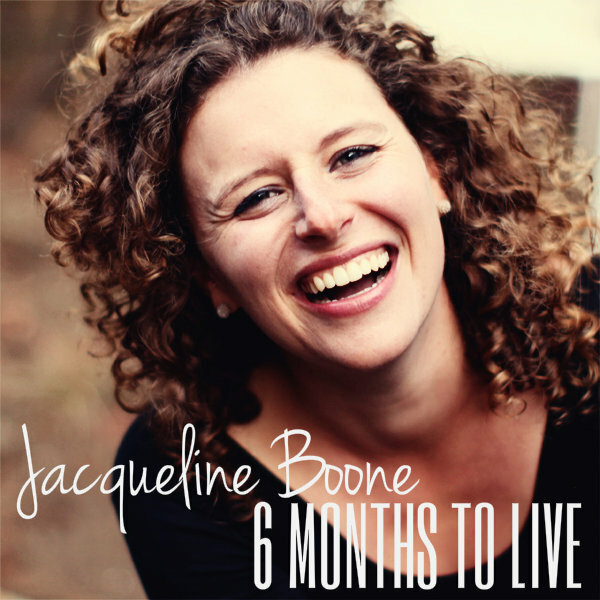 See Jane Do and Jacqueline Boone invite you to put your Passion into Action by taking on your own 6-month experiment in your life and business. Life experiments are often easier to adopt than permanent life changes. Worst-case scenario, the experiment doesn’t work out, and you go on with your life as is. Best-case scenario, you catapult your life & business, live your dreams, and deeply connect with other phenomenal women around the world along the way. Ask yourself, “What could I do in 6 months if I absolutely went for it? What would I do if I weren’t afraid to fail? What, if anything, would I change?” See the original experiment here. Live it. January to June: take action and see what happens. They can be big things, little things, cups of coffee, telling someone you love them, writing letters of gratitude, trips you’ve always wanted to take, moves you’ve always wanted to make. It’s your life and totally up to you! Share it. How will you shine? Share your experiences on social media, through videos, blog posts, whatever feels good to you and use the hashtag: #6moexperiment, so everyone can cheer you on! You can also join this Facebook group to make new friends, receive support, and atta girls. Tell your friends, family, and people you meet in the world. You’ll inspire them! We can enjoy life now. We can pursue our dreams today. We can LIVE for the present while also planning for the future. We can be the people we were born to be and make the world a better place by following our true hearts’ callings. And we’re with you every step of the way! There are no right and wrong rules. Be alive! Be adventurous. Grow. Love! Explore. Travel. Dance. Make friends. Change. Try something new. Question. Climb trees. Play with kids! Learn. Be vulnerable. Take chances. Trust. Make mistakes. Be a goofball. Laugh. Above all, live! We’ll hold a monthly call to share tips, tools, resources and to check-in and connect. It is not necessary to join us for every free session. Join us to celebrate at the Passion into Action Experience May 30th & 31st, 2014 at River Highlands Ranch! Jacqueline Boone is a passionately curious entrepreneur, digital marketing strategist, and writer who has a profound love of humanity. Her absolute favorite thing in the world is to help all types of people globally create their dream life and business! Today that means empowering private clients and companies to dream BIG and create their personal and professional visions through business coaching and by helping them create compelling global movements with their digital marketing strategy. To learn more about Jacqueline, her upcoming book, Heart Language, and the ways she helps clients visit here.